Find everything you need to transform your bedroom into a luxurious and inviting retreat. All of our comforters (and most of our linens) are our exclusive designs, so you won’t find them anywhere else. And by selling directly to you, we eliminate the middleman — so you’re paying only for the high-quality bedding we’re famous for. Our bed sheets and bed sheet sets are crafted of the best all-natural fibers available, from 100% cotton to soft, breathable linen and eco-friendly bamboo. Whether you prefer the lived-in softness of cotton jersey (which is as soft as your favorite t-shirt), earth-friendly organic cotton or the ultimate in luxury sheeting, like our high-thread-count collections in long-staple Egyptian cotton or silky Supima cotton, we have an incredible array of solid colors and exclusive prints that change seasonally. Also, don’t forget to check out our pillowcases, the finishing touch to any bedroom decor, as well as, the perfect piece to your rest. Comforters are a luxury to enjoy every day (and night). Using time-honored techniques and crafted of the finest materials, our signature comforters are handmade in our own Wisconsin factory... as they have been for over a century. Choose from the world’s finest down comforters or—for those who have sensitivities to down—our lightweight down-alternative comforters, which offer the same opulent warmth and comfort while providing a restful, allergy-free night’s sleep. Both our down comforters and down-alternative comforters are available in twin, queen and king sizes. For something truly opulent, our luxury comforters are filled with the world’s best goose down and sewn with finely woven, high thread-count cotton shells. A true indulgence, these sumptuous duvets are the finest available. You’ll also find a great selection of specially sized comforters, including Twin XL and Oversized. In addition to protecting your high-quality comforter, duvet covers add an instant splash of color and pattern to the bed, changing the look of your room in the blink of an eye. Browse our wide selection of comforter/duvet covers, available in a stunning assortment of sizes (available in twin, king, and queen), prints, colors and high-quality materials, including cozy flannel, eco-friendly organic cotton and wrinkle-resistant options for a pristine look straight out of the dryer. Quilts, matelassé coverlets and blankets are a wonderful choice you can use year-round — as a light quilt for summer or layered with other bedding when the temperatures drop. 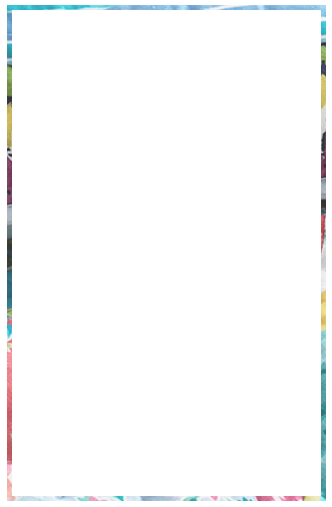 Our quilts marry traditional craftsmanship with an ever-changing collection of designs, resulting in a variety of quality products that you can choose from, including coastal/tropical bedding quilts, patchwork bedding quilts, white cotton quilts, and a lot whole more. Whether you prefer the snuggly softness of fleece, the warmth of wool and alpaca or the seasonless luxury of pure cotton, you can never have too many blankets or throws.